Why Choose a Physiotherapist for Your Dysfunction? Physiotherapists are in a unique position in the healthcare system. 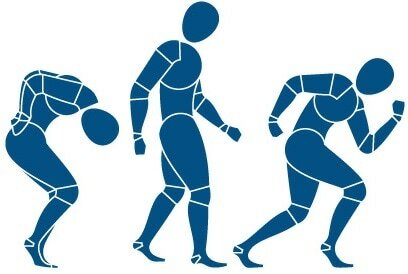 Physiotherapists are able to perform assessments and treatments of joints and articular surfaces (like chiropractors), muscular assessments and treatments (like massage therapists), give exercise prescription (like athletic therapists and personal trainers), and also maintain a good foundation and knowledge about medical conditions and systemic illnesses. Physiotherapists are well educated to recognize and specialize in the treatment of all of these areas. Based on the assessment, Physiotherapists are able to give the client a treatment plan that could include the use of one or all of the above systems. This allows Physiotherapists to deal with most neuromuscular and musculoskeletal dysfunctions and injuries for which people seek treatment. Physiotherapists have assessment skills that enable them to check the entire muscular system, the skeletal system including joints, the nervous tissue, ligaments, fascia, and the circulatory system. Often they can assess thoroughly enough to foresee what may present on x-rays and MRI's fairly accurately. Physiotherapists have a broad range of skills and are known as the 'conservative' (without drugs or surgery) treatment specialists for neuromuscular and musculoskeletal conditions within the medical and allied medical community. If you wonder if physiotherapy would be beneficial, call and schedule an assessment. We will provide some guidance as to whether our services are right for you. It's better to ask and begin the recovery process as soon as possible.